You probably have a workout routine you swear by, a diet plan helping you obtain your ideal weight or even the holy grail of home remedies for when you come down with a cold. Maybe you have a moisturizer that you have been using for years because of the wonders it does for your skin. But what about your hair? It can take a heavy beating on an average day: going through stress and surviving any element you put it through. However, over time, your hair can lose its strength and thickness, and most shampoos and conditioners you are using contain harsh chemicals, which can strip the oils and make your hair brittle. Stress is another major factor that can alter the look and feel of your hair. 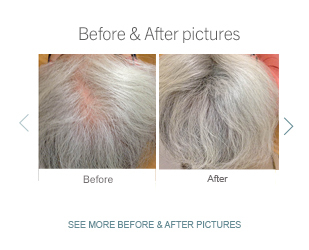 It can accelerate the aging of hair, and can cause rapid hair loss. At the first sign of hair loss, it’s important to begin caring for your hair in order to save it from any more damage. Understanding how to get thicker hair means understanding the nutrients it requires. It’s important to ensure that your follicles in your scalp are given the right nutrients to maintain the ideal environment for thicker, healthier looking hair growth. Vitamin C, Biotin and Keratin are essential in promoting hair growth and protecting hair from becoming dry, brittle and damaged. Viviscal Maximum Strength contains Vitamin C, Biotin, and Keratin as well as the exclusive ingredient AminoMar C™, a mix of key marine proteins that are crucial for a look and feel of thicker, fuller hair. Hair loss will affect you at some point in your life and it’s caused by a number of factors. It can dramatically change the health and shine of your hair. If your diet does not contain enough of certain nutrients, including vitamins, minerals and proteins, it can take a major toll on the strength and condition of your hair. Twenty-five years of research and multiple clinical studies have brought you the most trusted hair growth supplement that will provide the naturally sourced nutrients and the best quality ingredients that your hair needs. Try Viviscal today and notice a world of difference. 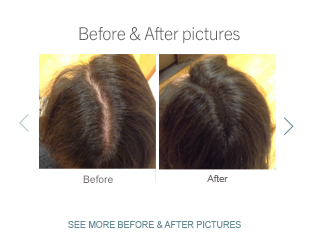 Are you ready to take action to get the thicker, more beautiful hair you’ve always wanted?